I am excited to announce that I have just won my first show award. 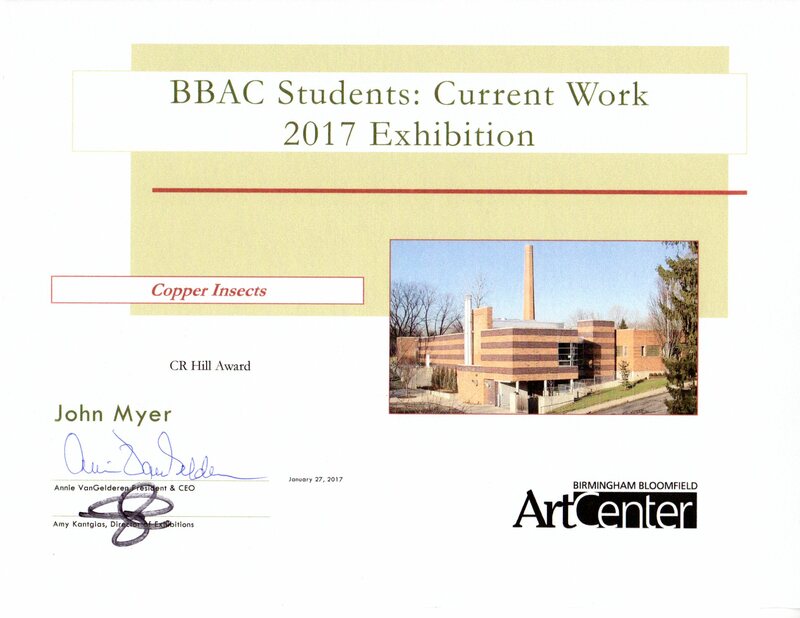 I won the CR Hill Award for my “Copper Insects” at the 2017 BBAC Current Student Works Competition Show. There were over 300 items submitted to the show and only 108 items were select for the show. 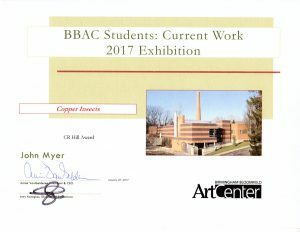 19 of those were given an award.